1). 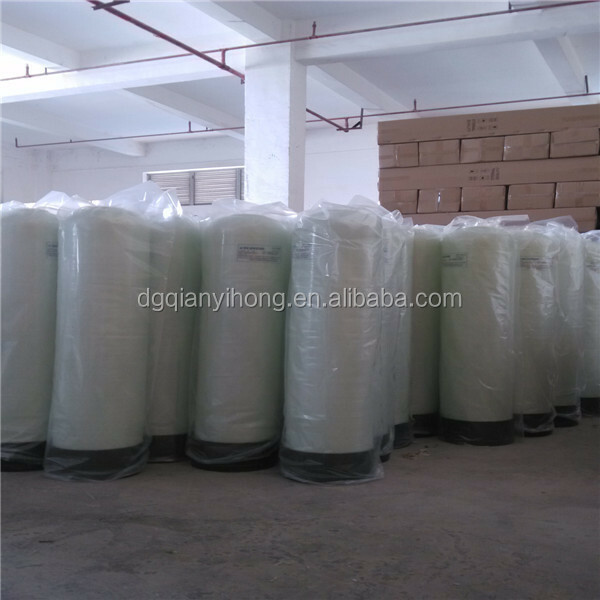 Each frp tank must pass the strict water pressure test before its selling. 2). 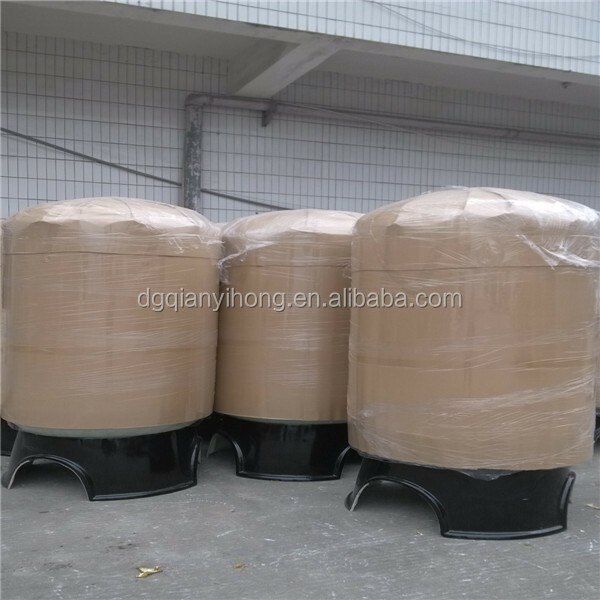 OEM service offered of frp tank. 3). Design service offered of frp tank. 4). 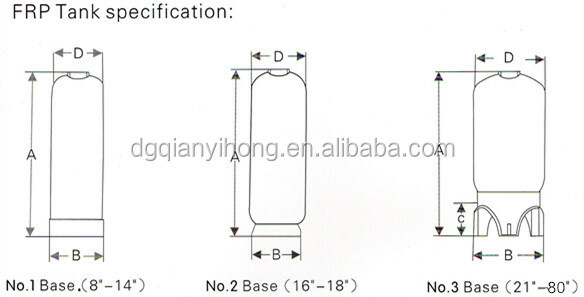 Buyer label offered of frp tank. 5). 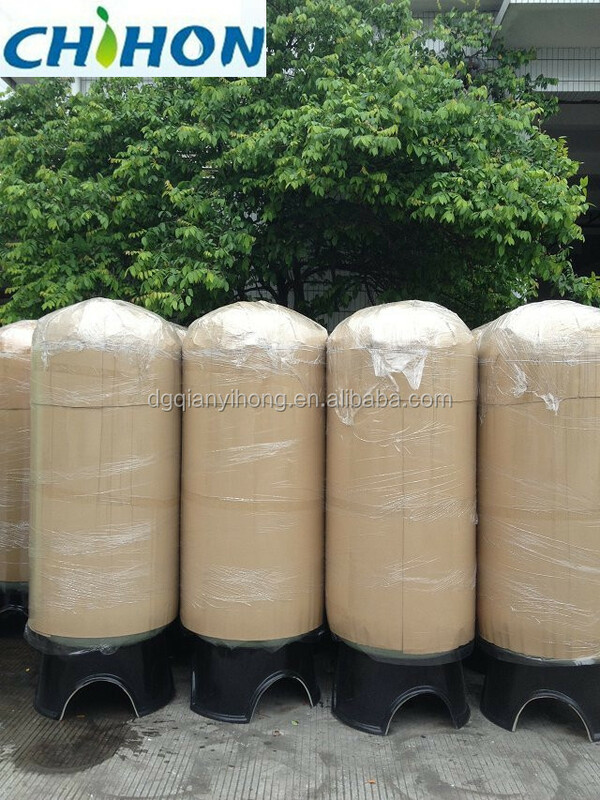 Warranty period of frp tank: 1year. 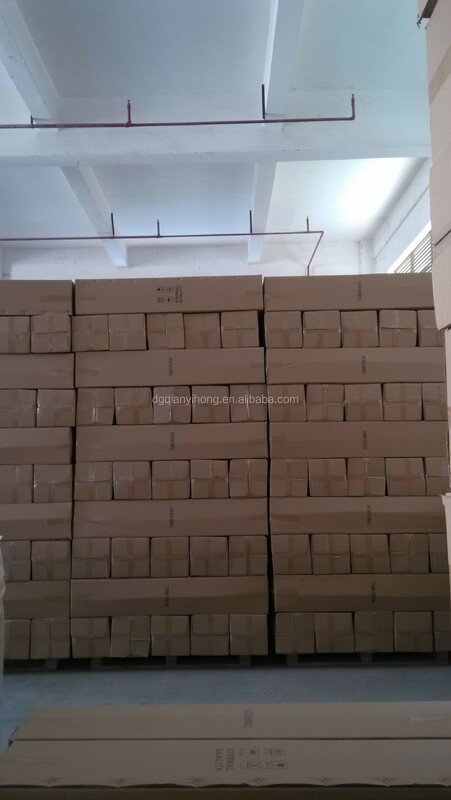 Q: Can I order one piece frp tank for sample to test the quality? A: Yes, we recommend to check the sample before order. Please order the sample in our retail store. 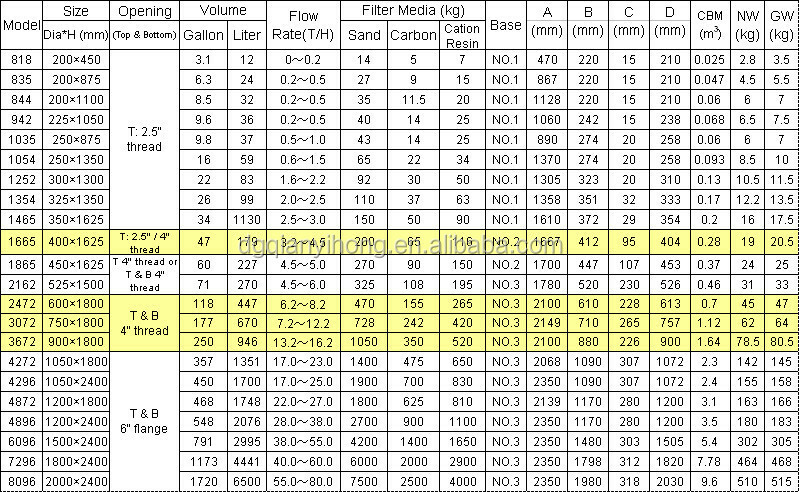 Q: May I have your catalogue and price list for trial order in MOQ quantity? A: All our products were shown on alibaba, please have a detailed looking and choose the interested models in our site. Q: If I want higher quality, can you produce? A: Yes, just send us your quality details, such as the material, what higher parts instead etc, we will do that as your request and calculate the price. Q: If I order big quantity, what's the good price? A: Please send the details enquiry to us, such as the Item Number, Quantity for each item, Quality request, Logo, Payment Terms, Transport method, Discharge place etc. We will make the accurate quotation to you as soon as possible. 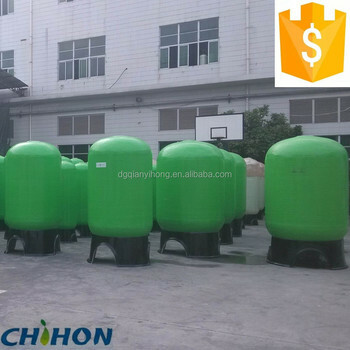 Dongguan CHIHON Water Treatment Equipment CO., Ltd is a great professional FRP tank manufacturer in China with an integration of designing, producing and selling. 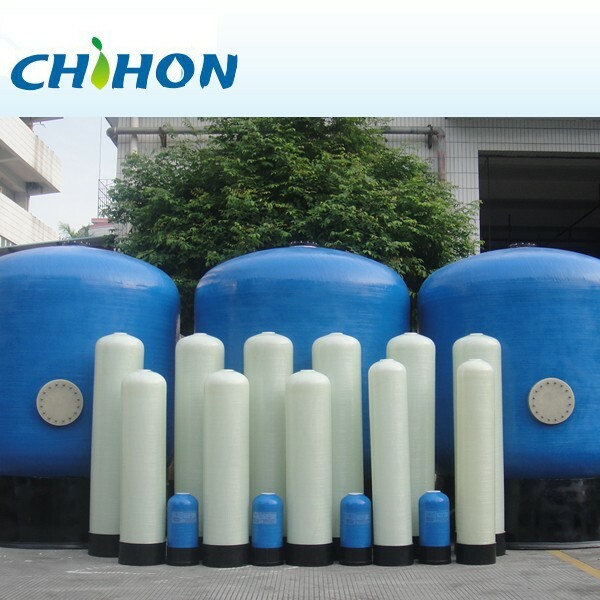 Since it established in 2000 by a group of experts on water pressure vessels, CHIHON now has FRP Tank (biggest diameter can be 2000mm with side openings 8'' flange), FRP Membrane Housing and FRP Mixed-bed Ion Exchanger with 21,000 square meter plant and has become the leading FRP tank supplier in China. 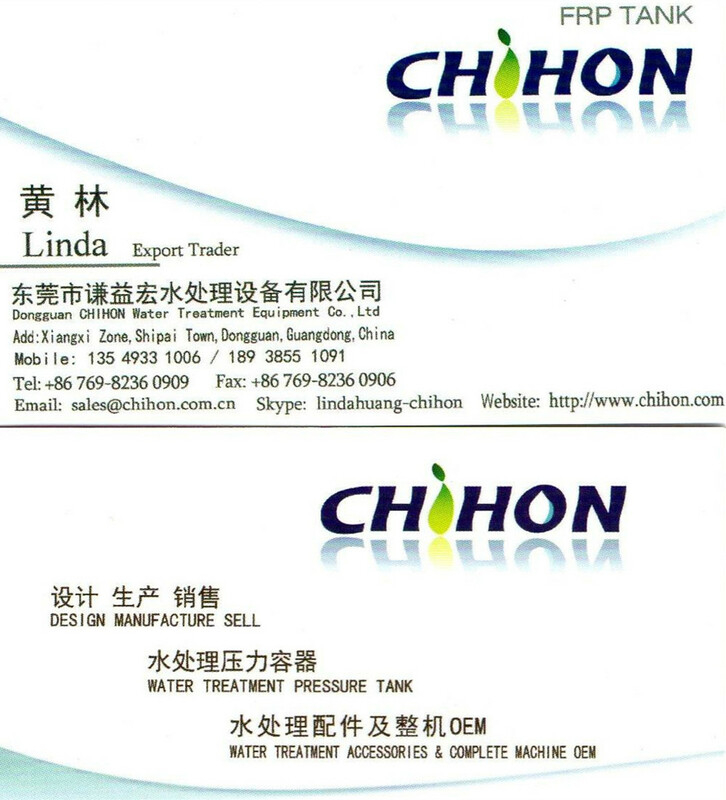 With the good reputation for quality, reliability and service, CHIHON products get highly praised by our domestic customers and enjoy more and more popularity in oversees market such as America, India, UAE, Indonesia, Nigeria,Iran, Russia,Malaysia, Singapore, Pakistan ect.